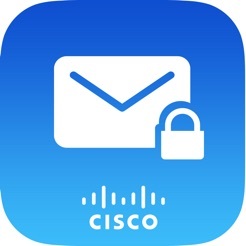 NOTE: To send an encrypted email, the Cisco BCE application requires access to the Cisco Registered Envelope Service or Cisco IronPort Encryption Appliance. 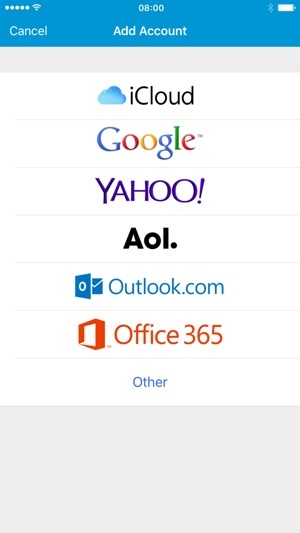 • Confidentiality: BCE encrypts email to protect its confidentiality during transit. 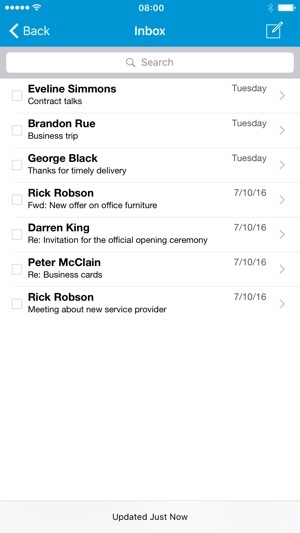 • Read receipt: Sends a read receipt when the recipient opens an email. disabling decryption for that email. • Email expiration: Sets an expiration date for the email. • Forward/reply control: Allows or prevents the recipient to forward, reply, or reply all. 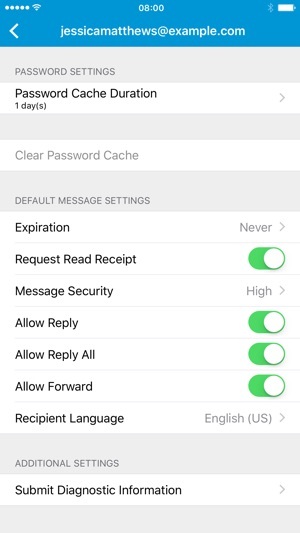 To maintain the security of your replies, you cannot change the list of recipients. If you are an end user and have any concerns, please contact your organization’s support department. 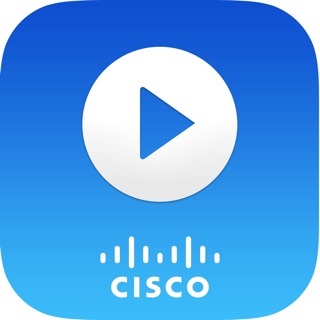 If you are a system administrator having difficulty configuring or using the application, please contact your designated Cisco support point of contact. SDK 7.0.0-034 integrated with feature regarding usage of established cryptographic libraries, and approved cryptographic primitives and parameters. Remember, 1 is the lowest possible rating. Installing this crappy program was the last of many hoops that I jumped through in order to access an email from an employee benefit program, and I‘m glad I balked at giving them access to my email. There‘s something fatally flawed when you‘re forced through a registration process before you can access a „secure email“, and then „to make it easier“ (apparently to make it work at all!) you have to download a poorly rated app, which looks more like a phishing attempt. I was eventually able to access the email online, without going through this app, and it was nothing that required such supposed security. (It was a list of in-network providers that I could have accessed myself from the benefit program website.) Net result: I was tricked into registering for Cisco‘s Registered Envelope Service and accepting their terms of service, because I couldn‘t read the email until I did. Not happy. Now they have my real email and feel entitled to regard me as a customer, which means they can sell my email address and anything they can deduce about me from who uses it. Very rare that I rate a 1 star. Unintuitive, and clunky. Yes it might be secure, but it’s such a hassle to use that one would avoid using it. My credit union insists on using it, and I was forced to download it when my work laptop’s vpn refused to allow me to open the message in my browser. I finally get it operational and I find out after my first attempt to respond to the message, that if you switch screens and then switch back, you will lose your message and have to log back in and start over. On my second attempt, I spent 15 min writing a response when the app crashed and I lost it all. Needless to say I’m furious since it happened late at night. There won’t be a third attempt. 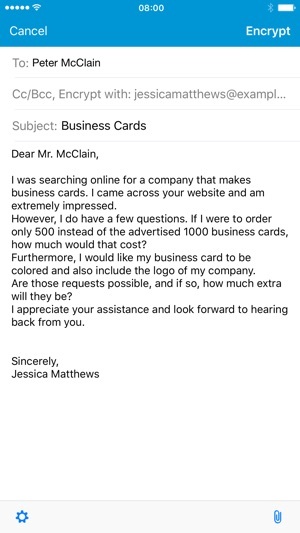 I’ll have to try responding from a different computer. I’ll delete this app and proceed to tell everyone to avoid it like the plague. I will definitely pass the message to the institution that is forcing me to use this. 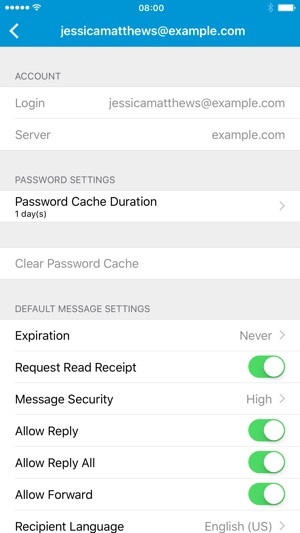 I had no luck signing into my email after numerous attempts and had verified my credentials on a desktop.. After looking at the tutorial built into the app I discovered that by long pressing the attached HTML file in your iOS Mail app and telling it to open in Cisco Business Class Email.. the app will let you authenticate and open the secure email. I’ve had heck with this app and had almost given up. It does work, but I’ve only been able to send the secure email HTML into the app, but not setup and save my email address for quicker access. Overall the app is a pain but I guess high security usually isn’t convenient. © 2012-2016 Cisco Systems, Inc. All Rights Reserved.